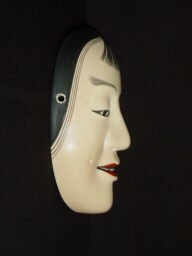 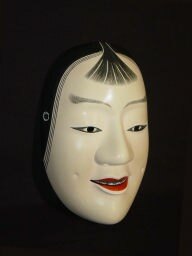 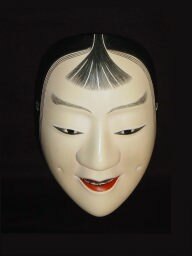 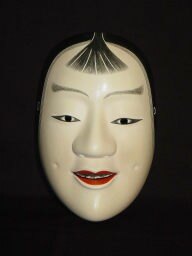 Kasshiki mask is used for roles of young lay-priests of Zen sect. 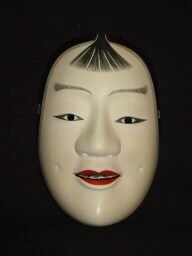 The mask features its bangs in the shape of Ginkgo leaf. 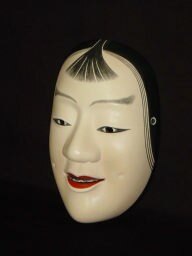 There are Oh(big)kasshiki, Cyu(Mideum)kasshiki,Syo(small)kasshiki.